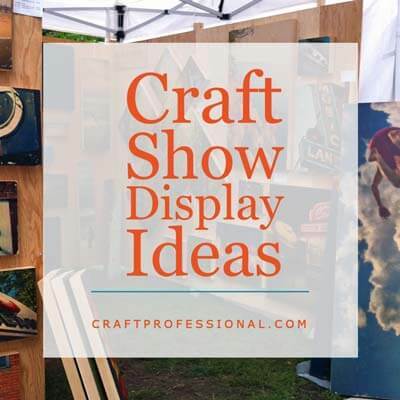 Show off your art with ideas from these 7 craft show Display photos. 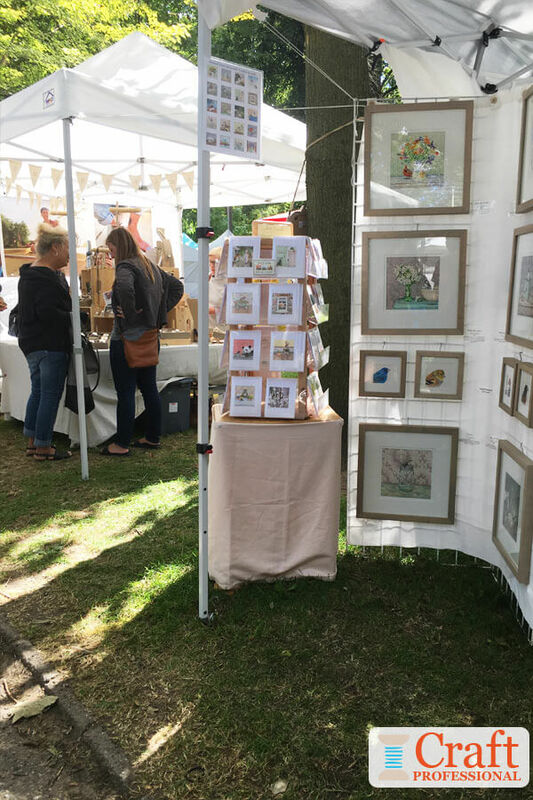 7 photos show display stands for art shows that can be used to show off your original art or stacks of prints. 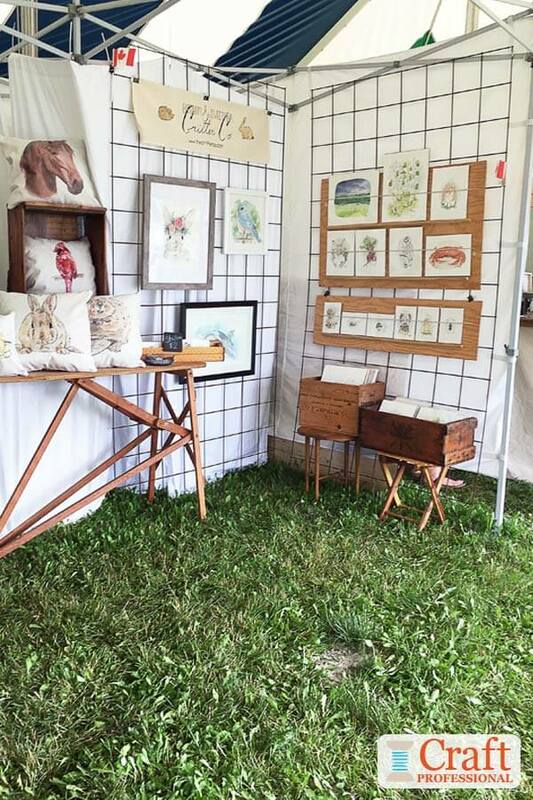 In this series of craft booth photos you'll see standard display furniture like mesh walls and grid walls used to display art, and you'll see creative use of plant stands, a vintage ironing board, and wooden crates used in art booths. First up, we have two outdoor art displays using gridwall panels and hooks. 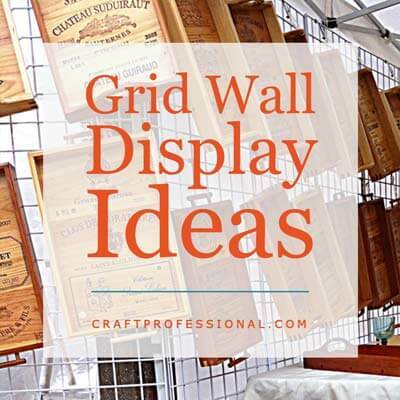 Gridwalls are a readily available, smart solution for displaying your framed art. Because gridwall racks are open, it's wise to have a backdrop either behind the panel (as in the photo on the left) or in front of the gridwall (as in the photo on the right). 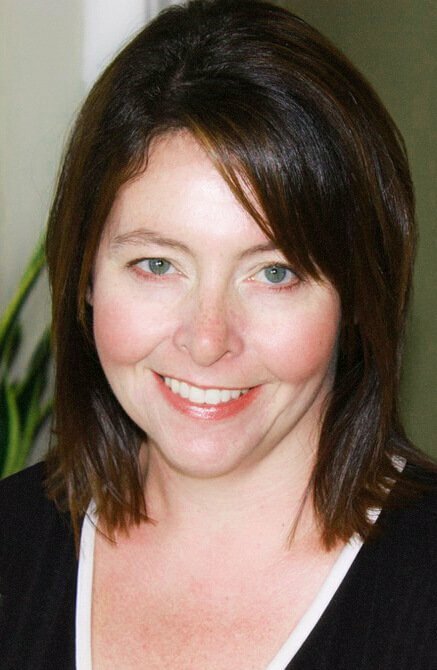 A backdrop keeps the focus on your own booth and eliminates visual clutter from the area surrounding your booth. The booth shown on the right also makes good use of a countertop greeting card display rack to show off smaller prints. Notice the rack is positioned at an outside corner - perfect for drawing people into the booth. 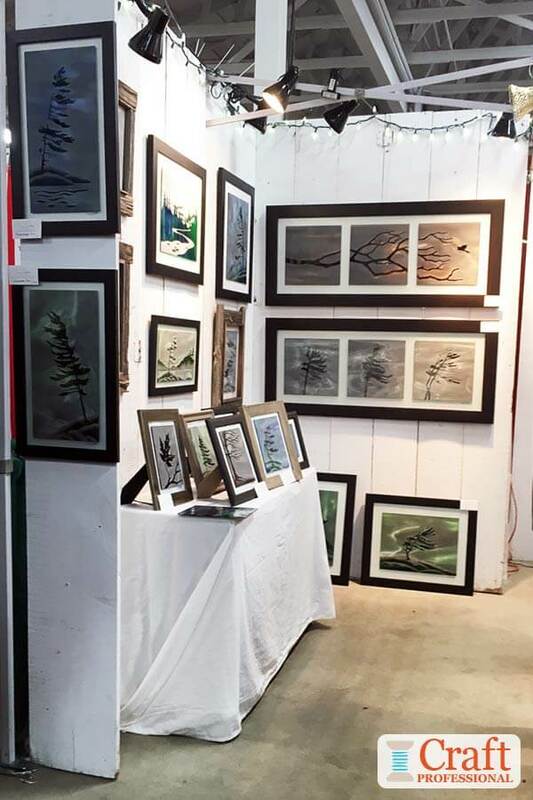 The next two photos show the same booth set up at different shows. 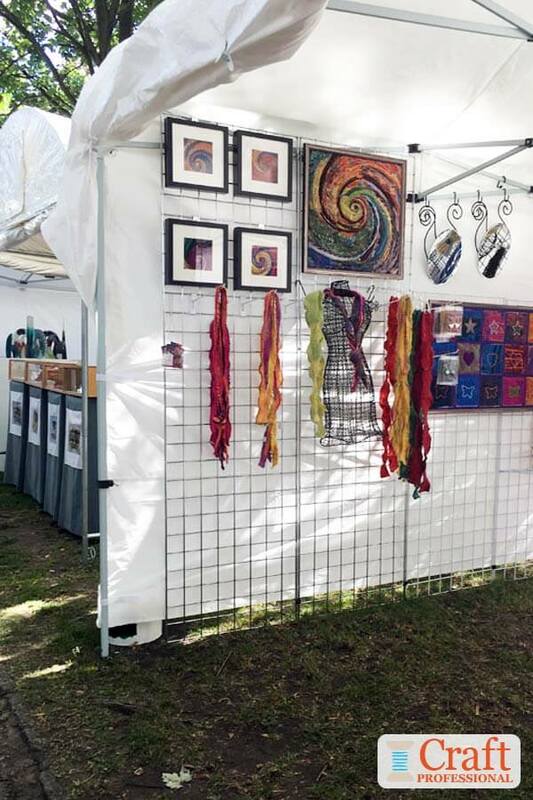 It uses gridwall panels like the first two booths, but it also incorporates some extra creative display furniture that works well with the artist's style. 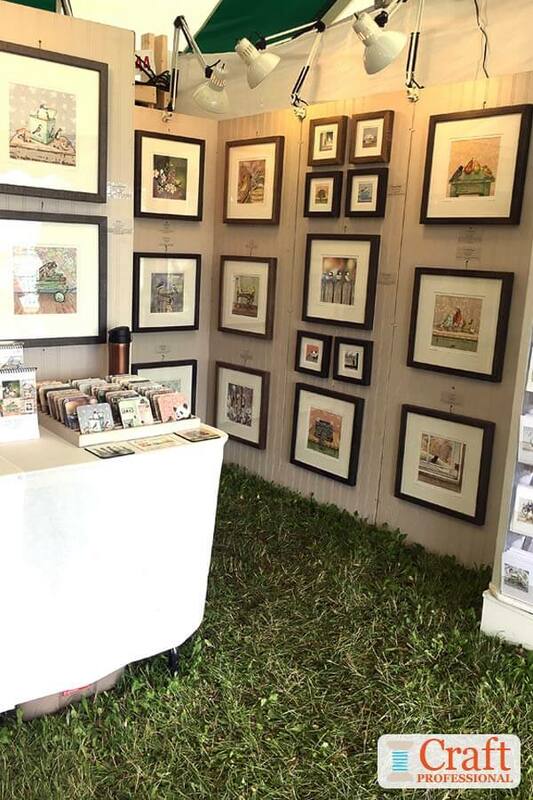 Notice the wicker stand holding art prints in the photo on the left. I'm fairly certain that's a plant stand. It's a genius way to display stacks of prints for people to browse. You can find plant stands in all kinds of styles to suit your own aesthetic. They are just the right size to hold art prints without taking up too much space in your booth. In the photo on the right, that's a folding wood ironing board. It's a cute way to add interest to the display. I'd suggest checking out Etsy or local antique shops for an item like this. On the right of the photo more art prints are stored in wooden crates on small folding tables. They aren't at an ideal height for browsing because another rack is featured in the prime eye-level space, but they do help to make use of the full height of the space. Next, we have a craft tent outfitted with mesh display panels. These panels are lightweight and easy to transport. 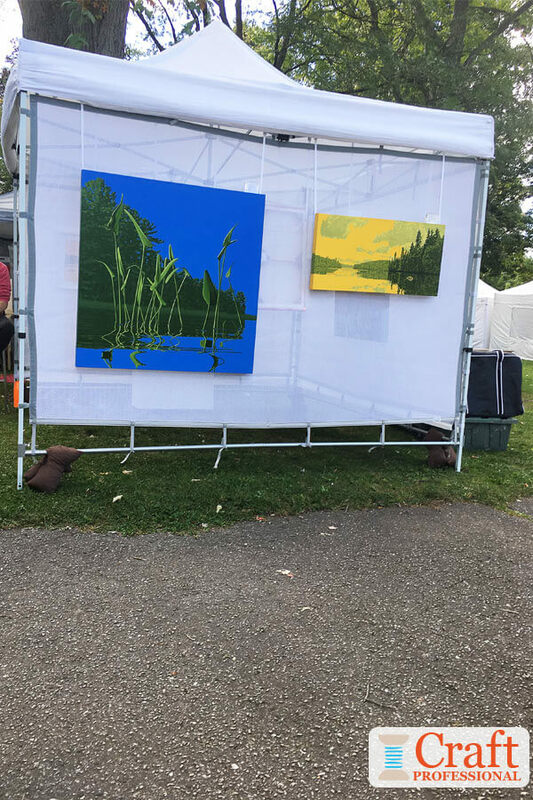 As you can see in the photo on the left, if you have a booth space with outer side walls facing a walkway, you can even display some larger items on the outside of your tent to draw attention to your booth from all angles. If you're buying mesh walls, do make sure you buy panels that are designed for display. Don't accidentally buy mesh panels that are meant to keep insects out of portable canopies. They won't work for your needs. Finally, we have two displays each using a covered, portable table and wood panel walls. 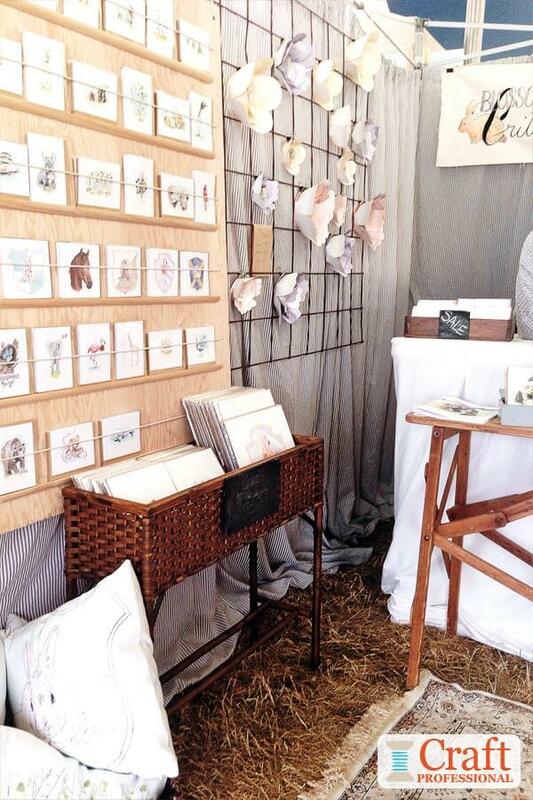 If you're buying a portable table for craft shows, be careful about the depth of the table. Narrower tables generally fit better in craft tents and make best use of your space, and an adjustable height table will let you raise the table to counter height for easier browsing. 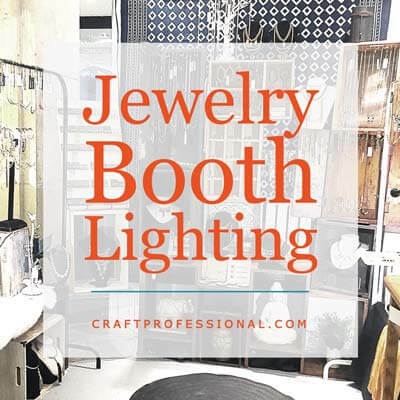 Notice both booths have plenty of lighting at the top of their wood panels, and there's lots of room to store extra product or craft show essentials in buckets under the table.